Engagement session photographed in Cascade, Idaho. Eryn and Nate's story began freshman year of collage: She was headed to a movie and he was free. While in Hawaii last year Nate proposed. He had a ring custom made for Eryn with two blue sapphires on either side of a central diamond (beautiful!). Nate had the ring for a year before he found the perfect time to ask Eryn (talk about an amazing ability to keep a secret!). When I met Eryn a few months ago I was struck by her genuine kindness. She is a beautiful person inside and out and I am excited for her and Nate as they begin the next chapter of their life. The couple will be married this fall at the Sandstone Vineyard in Kuna, Idaho. 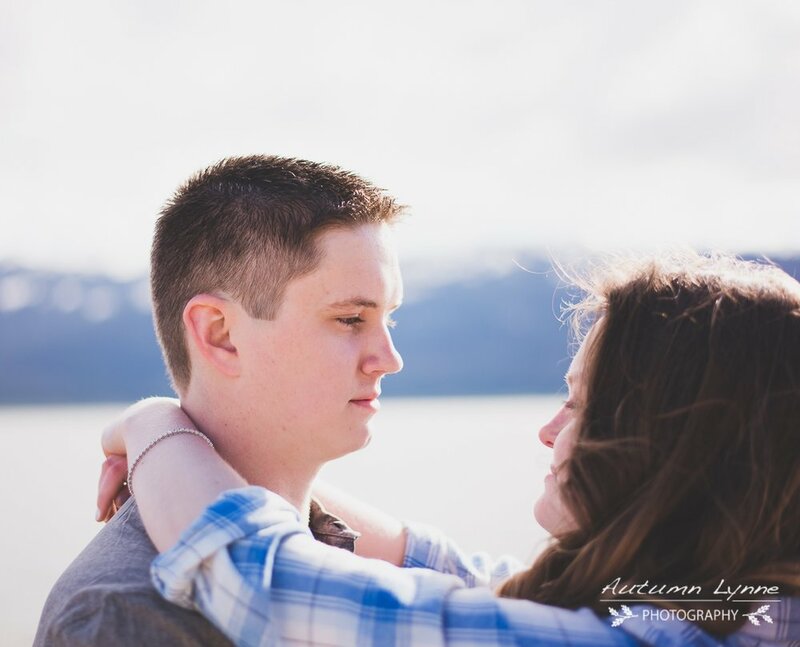 Eryn and Nate chose Lake Cascade as the backdrop for their engagement photos. The day we met was beautiful but a little windy. Nate and Eryn share a quite and enduring love and I enjoyed being able to spend a few hours capturing it. The following images are a few of my favorite from our time together.